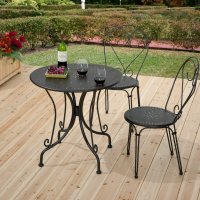 Welcome to Discount Patio Sets .com! We are here to provide you with value-priced patio sets of all styles and materials. We have hand-selected these outdoor furniture sets based on their combination of style, quality, and value. 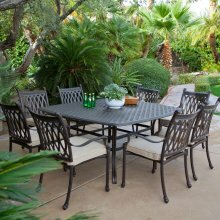 In addition to offering the web's best pricing, we also offer free shipping on all of our patio sets -- so you can shop with confidence! You can choose from wood, iron, cast aluminum, Polywood, or all-weather wicker patio sets. Our discount patio collections may be affordably priced, but rest-assured that they are not cheap in quality. Shop for bistro, dining, or conversation seating sets to find the right grouping for your outdoor space. Low cost outdoor furniture is our specialty. We hope you will see that discount patio furniture sets do not have to be "cheap". 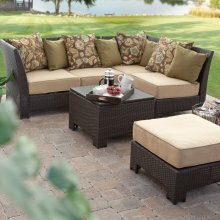 There are some things to look for while shopping for outdoor furniture. Depending on where you shop and knowing what to look for can make all the difference -- but you have come to the right place! Please browse our site for the best deals on outdoor furniture!